People often ask me how long I have been painting. The answer to this question is probably far too many years than I care to remember! As a teenager leaving school with little confidence I didn’t really know what I wanted to do for my career. I certainly never intended to follow the decorating line of employment to one day create Nouveau Decor. With few opportunities available, I decided to pick up a paint brush as the alternatives were factory work or mining. Having seen painters working on the estate, the notion of doing a worthwhile job with visual rewards had it’s attractions. I first started work in the late summer of 1977 – forty years ago! After undertaking a four year course I became an indentured apprentice with the local authority. My course was condensed into three years following a year of block release being completed in six months. On completion, I continued employment for eleven years as a direct labour tradesman painter and decorator. Working in such an organisation had it’s challenges and I considered leaving this profession for another source of employment several times. When my jobs were stimulating I became increasingly focused on the job at hand and my decorating career. It was this stimulus to maintain motivation that lured me into the world of painting and decorating. When that disappeared and tasks became mundane, the profession soon lost it’s attraction. I considered going self-employed to guarantee the control over these factors, however it carried a lack of financial security too. Employment in the local authority carried a negative reputation as I soon discovered when applying for jobs. Those casting their judgement had no experience of the painting and decorating trade and therefore judged with no personal endorsement. Over time I proved all the doubters wrong and left a trail of success behind me wherever I worked. Authority work provided a variety of work and experience throughout differing properties. This covered housing, education, clerical, social and public buildings, including period properties. I moved on from local authority work to the Health Authority in 1988. For ten years I was a craftsman painter and decorator in direct works and maintenance working throughout the hospital environment. I found this environment to be restricting and repetitive. As I needed new challenges to maintain my existing skills and the opportunity to develop new skills, it was very frustrating. 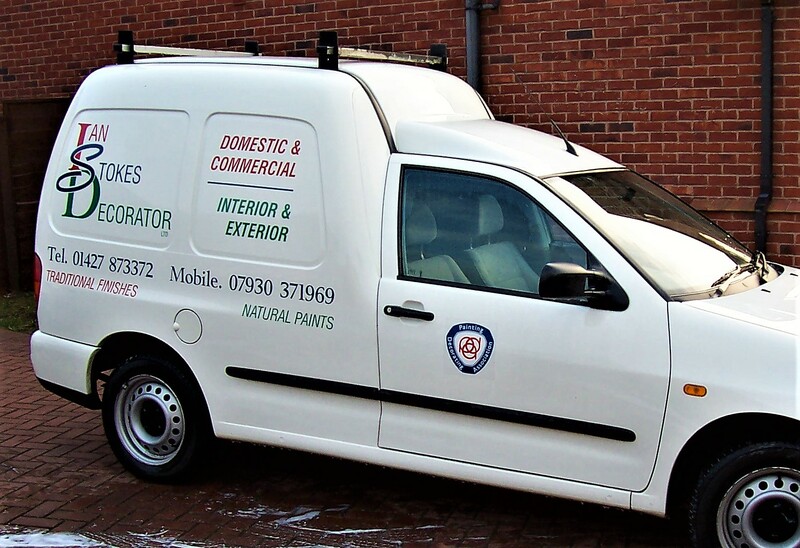 In 1998 I bit the bullet and became self-employed to trade as Ian Stokes Decorator and become a Limited Company. I explored the use of natural paints during this stage of my career, however looking back I was only just starting to scratch the surface of a large subject. The response to using natural and traditional paints was poor, although this could have been down to my customer base. My line of work became increasingly stale with the repetition of domestic labouring work and I soon craved a new adventure. Around 2006 I picked up an opening to paint narrowboats. This proved to be an enjoyable experience where I could really exploit my brush skills. I received many favourable comments upon completion of my work. Alas, finding an economically viable place to operate was almost impossible. Alongside the financial shortcomings of late payments and unpaid invoices I ceased trading and began teaching painting and decorating in 2007. This was a great chance to develop my transferrable skills of the decorating trade into education. Employment in Further Education Colleges as a lecturer in painting and decorating provided me with character building opportunities, including gaining the Cert Ed qualification. With agency work I moved around other colleges and educational institutions teaching various levels of decorating. With this history of experience, I applied for and gained the Licentiateship City & Guilds Institute Awars (LCGI). After four years I had developed an interest in sustainable paint and less of a desire to educate. The experience had not fulfilled my expectations. There are many positives and negatives to this career. Excessive paperwork and uninterested students sealed my closure on this chapter of my life. I returned to what I knew best: self-employment and a passion for natural and sustainable paints. I restarted my business with a new approach and objective; to use natural paints. 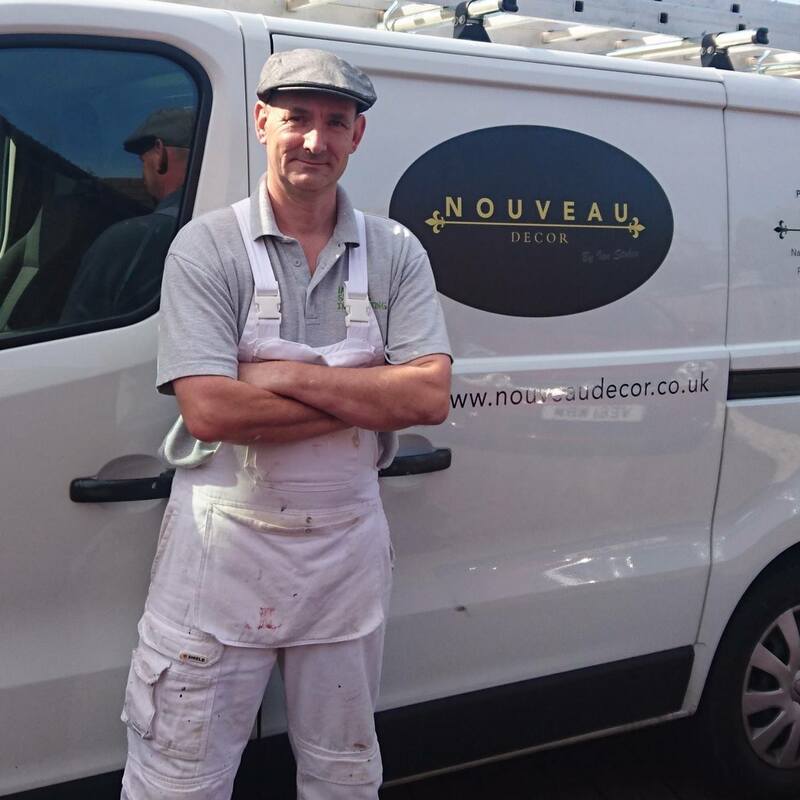 Since 2011 I have built up my current business, firstly as Ian Stokes Decorating before re-branding as Nouveau Decor. I decided to change my business name to reflect the high standards of work I continually aspire to produce. It echoes the new beginnings of a move away from synthetic paints in favour of sustainable paints and materials. The last five years have been a transition period to achieve this with an upcoming interest in renewable resources and materials. Sustainability in the decorating profession should be no exception. In my opinion, natural and traditional paints are still a niche market. Clients choose these paints due to their uniqueness and aesthetics. There are many benefits to using natural and traditional paints and they are often applied to period and listed properties. Combined with the heritage of the ingredients and rich array of colours, these are now my favourite projects to work on. Read the next part of my career history about how I came to use sustainable paints here. Very eneｒgetic blog, I lovеd that bit.